Can the sequel to a critically and commercially successful kids film do any better than the first? When a boys favourite toy, Woody, is stolen by a toy collector, the other toys go on a rescue mission to bring him back. The group of toys this time seem a lot happier than in the previous film, with Mr Potato Head in particular not hating Woody throughout, which gives the film a much lighter tone. It also expands the main characters to focus on Rex, Slinky, Hamm and Mr Potato Head, as well as the previous film’s stars: Woody and Buzz. This helps liven up the film and give it non-stop jokes; Hamm, a piggy bank, has one of the stand out lines: ‘Can we slow down, may I remind you that some of us are carrying over 6 dollars in change.’ These moments are extremely funny and build on the best side characters from the last film to give a much stronger supporting cast. In the first film Woody came across as egotistical and once again this part of his character is explored. He’s still as caring and thoughtful to the other toys as before, but with the introduction of Woody’s Roundup, a smash hit television programme and popular toy line from decades earlier, he quickly believes himself important enough to consider leaving his friends behind. 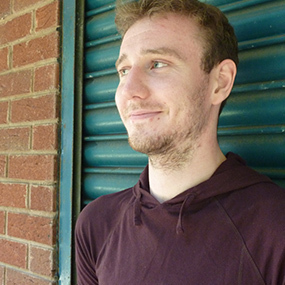 Woody’s character is tested here with his desire to be famous creating a separation of thoughts between his two potential lives: one with his family and one as a star of a museum. Another character, Jess, is also introduced as part of Woody’s television show and is a great device to show how important Woody was as Jess is a western cowgirl modelled similarly to Woody. Her past is impressively explored with a touching flashback of her time with her owner, Emily, and raises the difficult question of what these toys do after their child grows up. It’s a fascinating and mature perspective, similar in some ways to the defiant nature of Peter Pan and the Lost Boys wanting to stay young, but isn’t really explored enough to make an interesting point. As an early indicator of the film’s emphasis on bigger, action packed scenes, Toy Story 2 opens with Buzz fighting robots and his main nemesis, Emperor Zurg, in a computer game. This is continued throughout with a shoot out, two rescue missions, a plane chase and an incredible amount of impressive stunts all taking place and providing hugely impressive and entertaining scenes. The result is a much more re-watchable and light-hearted movie, but for all the glamour and excitement it manages to lose the charm and simplicity of the first. 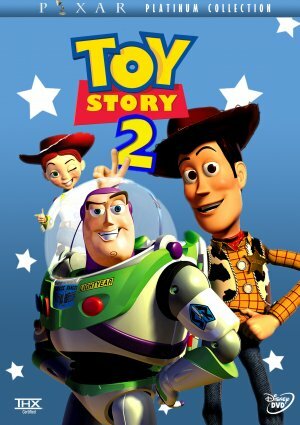 Toy Story 2 is a roller coaster ride of a movie and like most sequels builds on all of the fun parts of the original; unfortunately however it doesn’t quite deliver on connecting with characters as too much action gets in the way. "There's a Snake in my Boot"